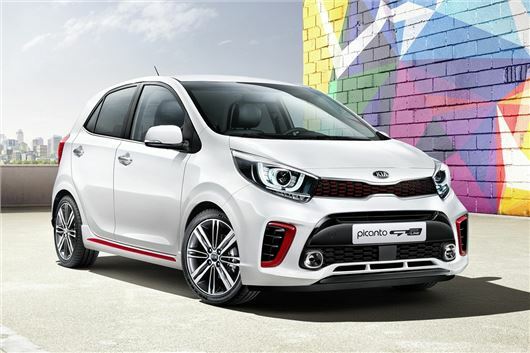 The first pictures of the all-new Kia Picanto have been revealed ahead of its public debut at the 2017 Geneva Motor Show. It’s due to go on sale in Spring 2017 and is likely to cost from around £8500. While it has similar styling to the outgoing car, Kia started from scratch for the latest model in an effort to maximise interior space. Though it retains the exact same length as the outgoing car, it has a longer wheelbase, so expect a slightly larger boot and more leg room. The Picanto will be available with a touchscreen system, along with convenience features like cruise control, navigation and climate control. Android Auto and Apple CarPlay connectivity is a possibility too, though finer details on equipment are to be confirmed. It’s the same story with the engine range, which has not yet been announced. That said, the Picanto will almost certainly be sold with the same 66PS 1.0-litre and 87PS 1.2-litre petrol engines as the Hyundai i10, with which the new car shares its underpinnings. An automatic transmission will be available as an option. More details will be announced at the 2017 Geneva Motor Show in March.